Walking around St. Petersburg, you can pretend to be a 19th-century nobleman just about anywhere in the city. At time it seems there are more palaces than ordinary residential blocks. Something as prosaic as a stairwell can retain pre-revolutionary artistic alure. People across Russia call the entrance and stairwell of apartment buildings as 'podyezd', meaning, literary - 'driveway'. But St. Petersburg as usually differs from the rest of Russia, and calls it 'paradnaya', meaning - 'ceremonial entrance' (one intended for "parading" into). The locals are very proud of their entryways, there are many that look absolutely gorgeous (in contrast to the ordinary and uniform apartment blocks). The Instagram account 'Paradnye' is exploring the city's most unusual and beautiful entryways. The admins don't reveal addresses of the places, as they don't want too many tourists to swarm them in search of selfies. But they do provide them upon personal request, so you can drop them a line. The channel is not merely a photographic project, but also a conservation-minded one, asking followers to share historical and updated information about these entryways, as well as others that the authors haven't discovered yet. 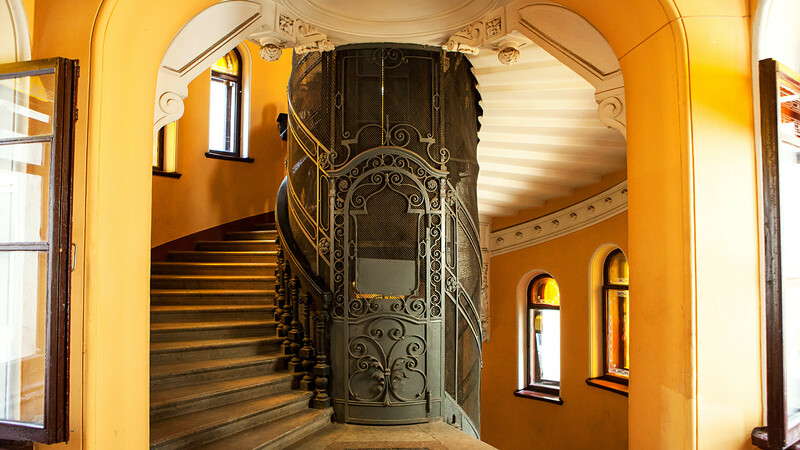 St.Petersburg's entryways are among the city's prime unofficial symbols, and there are plenty of enthusiasts there to arrange guided tours inside the most interesting buildings. Whenever in town, make sure to hunt down a tour - you will remember the experience for the rest of your life!